It has become a routine for me to visit Divisoria once a week to mall hop, hunt for bargains and also to work out. It's a good thing that Gold's Gym opened a branch at Lucky Chinatown Mall, my one day spent in Divisoria every week gets fully utilized. 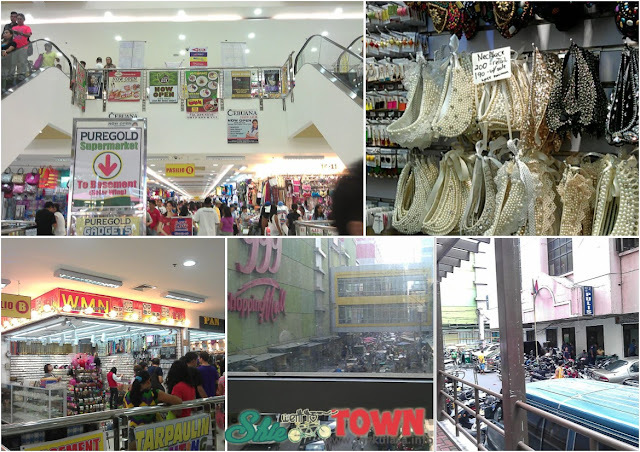 This is part 3 of my Divisoria Guide Series, here are my part 1 and part 2. 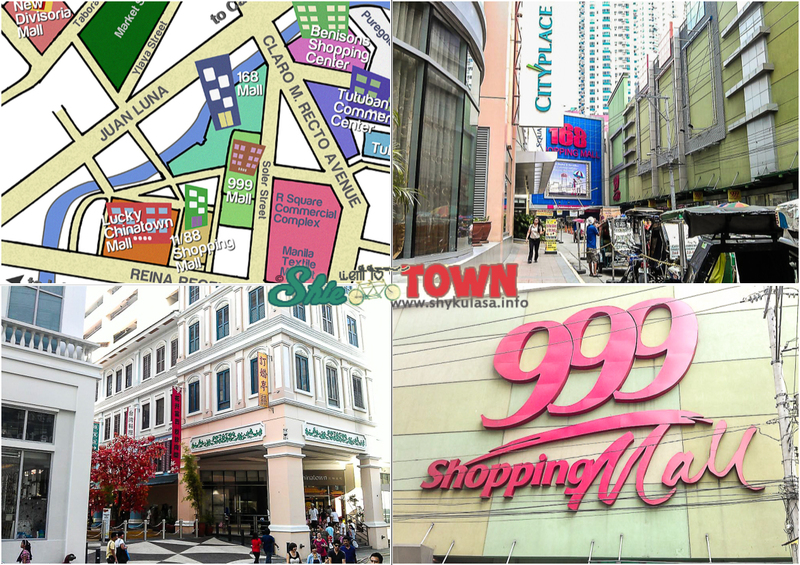 If you view the map above, 999 mall, 168 mall and Lucky Chinatown Mall are just close to each other. There are other malls around Divisoria but these three are the ones I frequent due to their proximity. 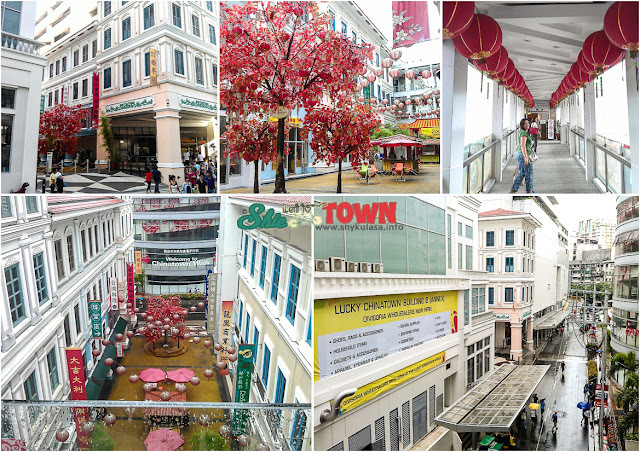 City Place Square is part of Lucky Chinatown Mall and that is where Gold's Gym is located on the 2nd Flr. The shops and restaurants inside are high-end. There's also Resorts World inside if you want to play some casino games but if you prefer to go to Resorts World Manila near NAIA Terminal 3, there are free shuttle buses located outside, leaving every 30 mins. A shuttle bus for Solaire is also available here. Metro Gaisano Supermarket is inside on the 1st and 2nd floor. It has also become my supermarket of choice when I'm looking for Asian and other International ingredients. I also love to watch in their cinemas. They offer a very conducive atmosphere for viewing, intimate but not crowded, nice and guaranteed seats and modern interiors. It's like stepping in a different place, not the usual Divisoria you have in mind. The newly opened Building B Annex of Lucky Chinatown houses wholesalers selling different stuffs similar to the kinds you'll find at 999 mall and 168 mall. You can check my previous post on Lucky Chinatown Mall here. 168 Mall has become a favorite hangout for bargain hunters. It has expanded to serve more customers and offers more choices and varieties. Go check out their Soler Wing. Robinson Supermarket is on the basement. 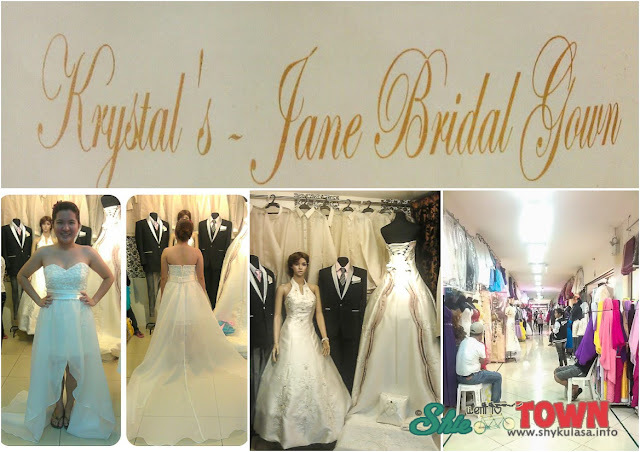 I find their Bridal Section at the 4th Level more up to date compared to 999 mall. When my cousin from Canada asked me a favor to have her reception dress made here, this is where I had it done. From a drawing to the finish product, I think they did well. Among the shops I checked, they offer the most reasonable price. Bridal gowns here would range from 8,000 pesos to 30,000+ pesos depending on the design. 999 Mall has also expanded and now facing Recto St which makes it the most accessible among the malls I've mentioned. There's Puregold Supermarket on the basement and 3 more levels for more choices. A bridge on the 2nd floor connects it to the earlier 999 mall which makes walking more comfortable. The spaces for moving are wider here compared to 168 mall and prices of items are pretty much the same. But it is still ideal to check 168 mall if you've got the time. It's just an arm's length away. I'd also like to commend our new Mayor's efforts in addressing the traffic problems in this area. There's really a considerable improvement and great ease in traveling to Divisoria and I hope it continues for a long time. Street vendors are not allowed to ply their trade on major roads like Recto from 6am to 6pm. They can only do their business at night from 6pm to 6am. Gone are the days when shopping and mall hopping in Divisoria is a challenging sweaty activity that requires a lot of effort. Divisoria shopping can actually be a comfortable and rewarding experience once you've learned the ins and outs. Occassional blogger, photography enthusiast, apparel designer, engineer and a big believer of God. In my spare time I love to create DIY projects or chase the bliss of solitude, sipping a cup of nicely brewed coffee, munching some yummy cookies while reading a good book in a new place with an awesome view. China town pretty much evolve from its dull facade and environment to a pretty place. it's my first time to hear of 999! I live just near the area and people must be thinking that I frequent these malls. Actually I go to them only like once in two or three months because I'm too busy. ^_^ It's always great to find good bargains here. Tamang tama I really need this. Balak ko kasi mamili dito soon. I have been to 168 mall. The stores there indeed have low prices. I haven't been to divisoria for years and looks like there are a lot of improvements already. This is a great guide for those who want to get a good deal on different kinds of goods in Divisoria. I am thinking that Divisoria is just an ordinary place where you could find small vendors and merchants laying down their wares on top of improvised tables for display. 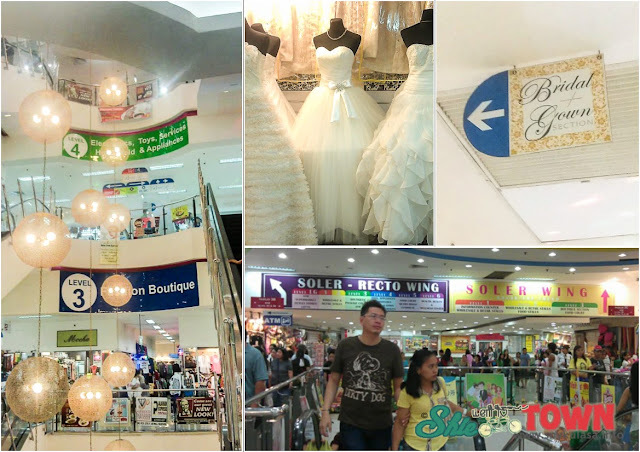 But looking at your blog, I was amazed that Divisoria is big commercial center. I can't believe that I've missed a lot! Been 4 years since the last time I set my foot on Divisoria! Hello. would it be ok to wear roller skates around there? It could be great help for sure but still hesitant to use in malls. masarap aaang mamili rito pag marami, gusto mo ng mura at ready ka na gumala. talo ka rin kasi kung malayo then unti lang ang bibilhin mo. open ba ang malls tomorrow or saturday? Hi Shie! thanks for your helpful site! are all the malls and stores still in the same locations? 2013 pa pala kasi ung article mo? thanks in advance! God bless you! Im looking for space for my business. Sino po may alam na pwidi macontact qng how much yong rent? Hi, any idea po where I can find cowgirl boots/costume for kids? Thank you. would you know how to go to 968 mall? bloggers usually says its behind 168 and near a school... but i cant seem to find a map of it. Is there 968 mall? Maybe there is but I'm not sure. Beside 168 is 999. There is 1188 behind and Lucky Chinatown is beside it. Anyway I'll update this blog once I visit Divisoria soon. All comments are moderated and will only appear upon my approval. Shie went to Town by shie is licensed under a Creative Commons Attribution-Noncommercial-No Derivative Works 3.0 Philippines License.